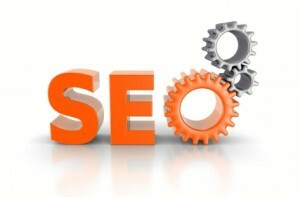 Crafting cohesive and comprehensive campaigns is one of the essential roles of search engine optimization consultants. A small business SEO consultant will do more than just tell you the individual or step-by-step tactics which need to be enacted, but will also be the visionary for the combined efforts of your overall online marketing strategy. As an affordable small business SEO consultant, we deliver our clients complete SEO marketing plans which encompass multiple steps and objectives. By taking into account your budget, your specific goals and your current standing, we’re able to craft a unique, innovative and successful campaign for each and every individual or business that we work with. For one client, the best approach may be straightforward onsite and offsite search engine optimization. Pay per click campaigns may be the desired focus of another, and social media campaigns for another. Making all of those pieces work together in an affordable and cohesive package is what we do best, and we promise to come up with a creative solution to match your needs. Of course, you may simply want to pursue your options through search engine optimization consulting before making a final decision, or prior to making large-scale changes to your existing website or marketing plan. Learning more about different potential ideas, the best ways to move forward, and the most affordable and efficient approach is always a smart step. So feel free to get in touch with us today by filling out our quick contact form, and we’ll show you how we can help as your affordable small business SEO consultant in Washington D.C.